Briefcase is your news agenda for the day. This bulletin from The Hindu keeps you abreast of the news with concise, sharp and analytical reports. 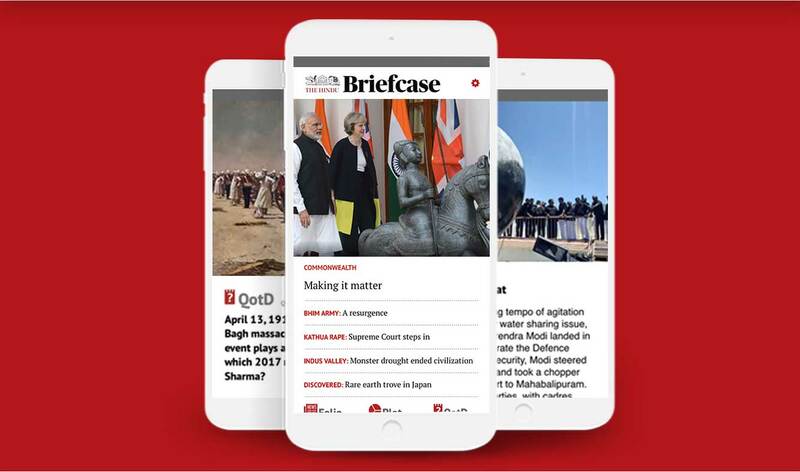 Backed by The Hindu's expertise in reporting and analysing news, Briefcase is your refuge from the clutter of information on electronic and social media platforms. Published six days a week – Monday to Saturday – the app is designed to provide a quick grasp of the news in a way that shows you why it matters and how to form an intelligent opinion around it. Short and Crisp Analysis covering all sections – Political News, Economic News, Business News, Sports News etc.